The third meeting between these clubs this season started evenly but Tytherington took control once the deadlock was broken. Porter, the Trowbridge goalkeeper made a fine stop at the front of his area but James Hicks followed up to score after 20 minutes. Trowbridge went looking for an equaliser but the Tytherington defence looked comfortable and when opportunities did arrive, the final pass always seemed to go astray. 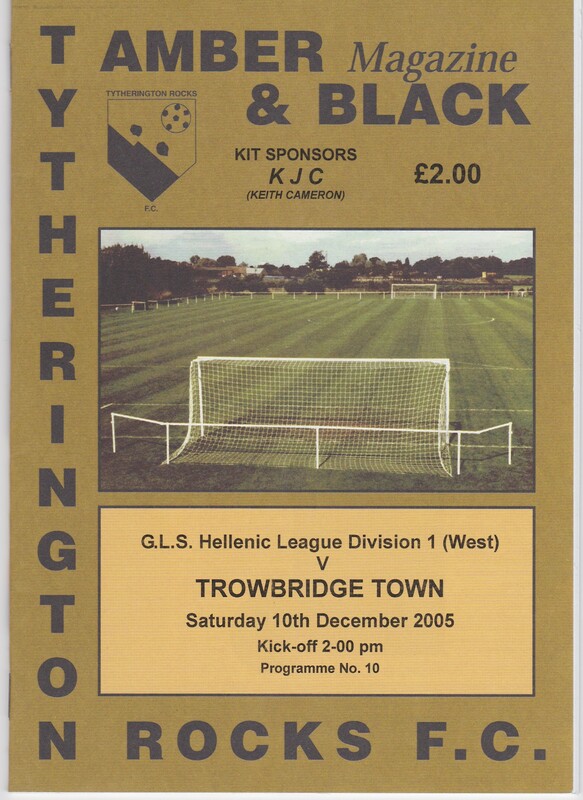 The home side always looked dangerous going forward and the experience of Paul Thorpe, making a rare appearance for Trowbridge was invaluable to keep the score as it was. The Rocks made it two after 37 minutes. A shot by James Ackland from the edge of the area should have been saved by Porter at his near post but the ball squeezed itself onto the post and across the line. The second half was much the same pattern, when Trowbridge attacked, Tytherington looked comfortable and there was never a shot on target to worry Rob Dent the goalkeeper. Had Trowbridge pulled a goal back early it may have been different, instead the inevitable happened and Tytherington added two late goals for a well deserved victory. A fine strike by John Peacock gave Porter no chance after 84 minutes but he was at fault 5 minutes later, failing to hold onto a high ball which dropped to Jimmy Potts for an easy close range finish.